When we write, we should try to be as clear, concise, and direct as possible. This goes for any kind of writing, whether you’re writing a tweet, an instant message, an essay, or a book. There is a temptation, especially when you’re trying to convince a reader of a position, to insert sneaky, “cheap” tactics words and phrases into your language. Today I want to discuss a few sneaky and abusive writing techniques which have wormed their way into the vernacular of many of us. Obviously there are exceptions wherein any words might be ok, such as when writing dialogue or certain types of poetic writing such as lyrics. But for the vast majority of normal typed communication, particularly in forum or social media debates, we should stay alert about these words and their effect on conversation. 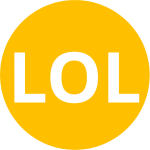 Most readers of my site would probably never start a sentence with “LOL”, but there are terms that I find myself and others using frequently which are surprisingly similar. They add nothing to the sentence; they are merely there as an attempt to elevate the speaker over the listener. So* if you’re trying to communicate something, particularly to someone who doesn’t agree, never start sentences with the following words/phrases. Even if I can’t convince you of the harm these words and phrases cause, they do nothing else for a sentence, and should be deleted for the simple reason that they’re unnecessary. I caught myself using this one today. It feels very natural to start off a large 2-3 paragraph comment with “first of all” for your first comment. All this does is communicate the information, “I have at least three arguments in support of what I have to say”. The problem is that we don’t need you to tell us that. We can see on the page how long the thing is and we can count the number of arguments you have on our own. This one has become a really annoying tick over the past five years or so. I mean, you often do have to go back to basics in a way in a conversation, but you can do it in a less sneaky way than by using “so”. Instead, just explicitly state that you want to go back to some fundamental assumptions or whatever. There’s no need for either of these insecure ticks. Get rid of them. A much, much subtler relative of “So” is “Well”. You don’t need that “well” at the beginning of all of your sentences. It’s a super-subtle form of posturing; drop it. This one is really pretty awful when you think about it. Every time someone starts a sentence with “again”, they might as well be calling you an idiot. If you feel like someone isn’t listening, you can just say that. But usually “again” doesn’t mean anything so direct. It’s more of an underhanded “Moron, I already told you” that only serves to show your exasperation at why the other person isn’t getting what you’re saying. Sometimes an argument that’s really convincing to you won’t be convincing to others. Internalize that now so that you don’t end up “againing” someone you love later! “Like I already said,” is a synonym. Skip it and just re-state yourself if you have to, but try saying it in a new way if it didn’t connect last time. To conclude, a lot of these terms have synonyms. Be on alert for this kind of language. It’s one thing if any of it happens in a real-time conversation, but it’s much easier to go back to your Facebook comment or blog post and erase that “Again” before you hit “post”. I’m guilty of all of this stuff; don’t bother pointing out times where I broke my own rules in past articles, social media or anywhere else. The point is that I want to make an effort to rid it from my own vernacular, as well as others. Hopefully by formally writing it down here, I can reach others, but also help mentally train myself against using these terms. Thanks for reading! *As in, “therefore, based on the last thing I said”. Distinct from “So, “.